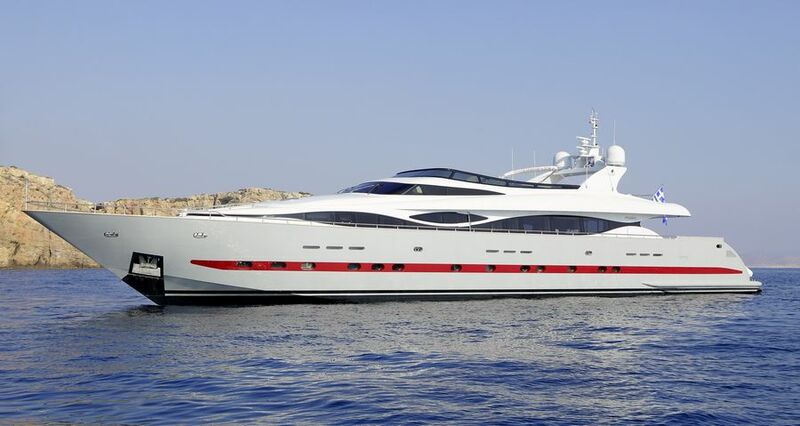 The MAIORA superyacht GLAROS (ex Calma III) is a 39,65 meter or 130 feet in length overall fast semi displacement motor yacht, as built in 2006. 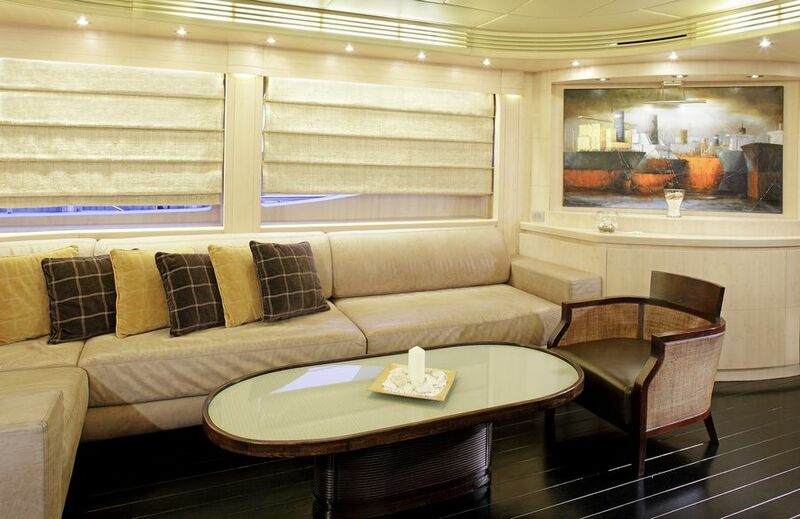 Her interior décor is warm, spacious and contemporary, featuring rich dark wood flooring, supple leather furnishings and soft elegant lighting. 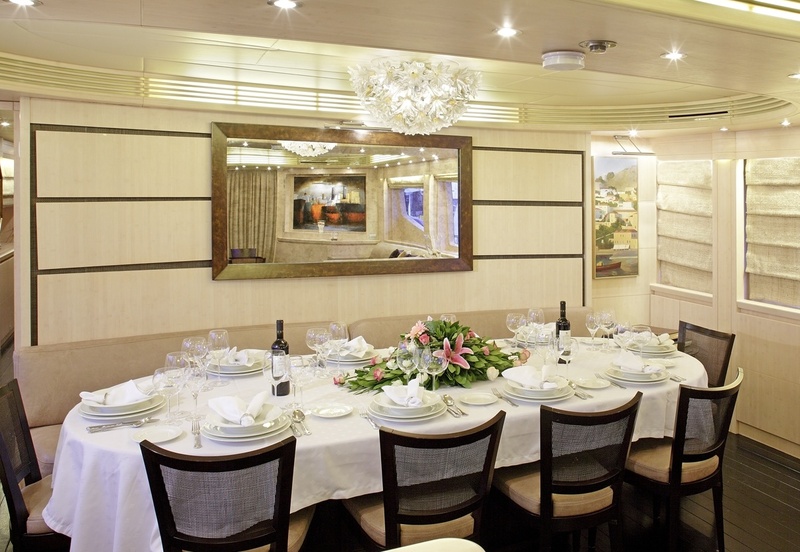 The main salon is laid in an open plan, offering a generous lounge aft with opposing sofas and coffee tables, while forward is the formal dining table for up to 10 guests. 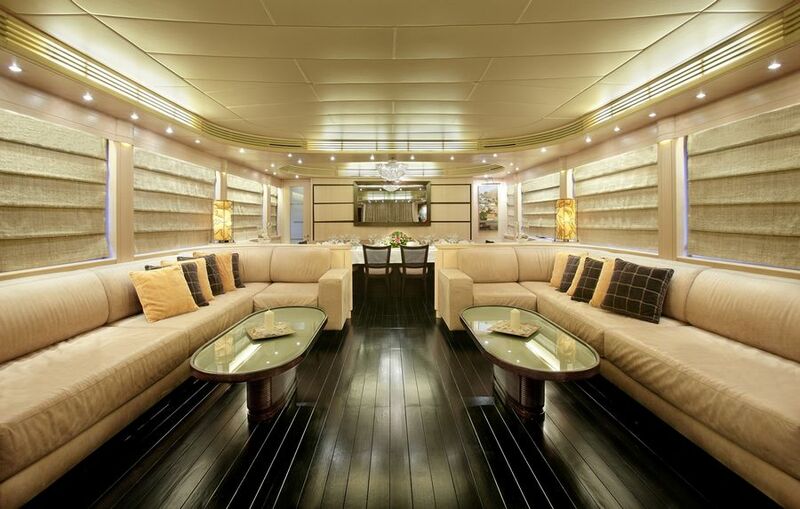 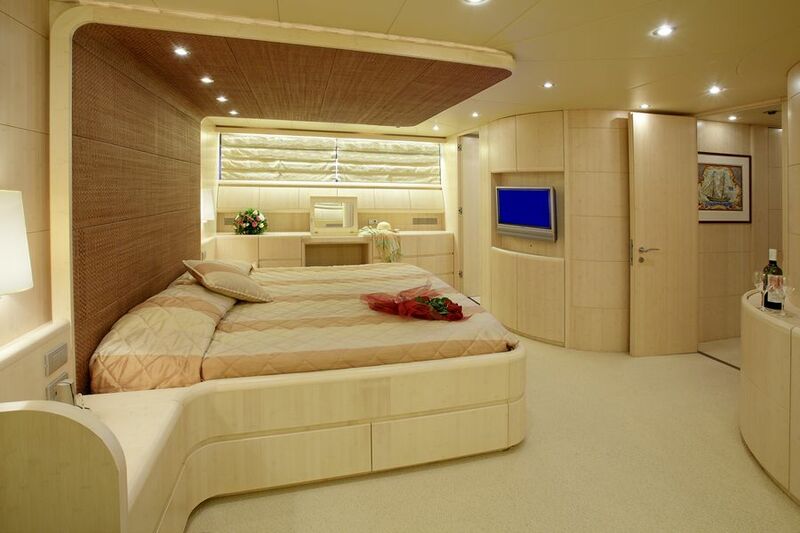 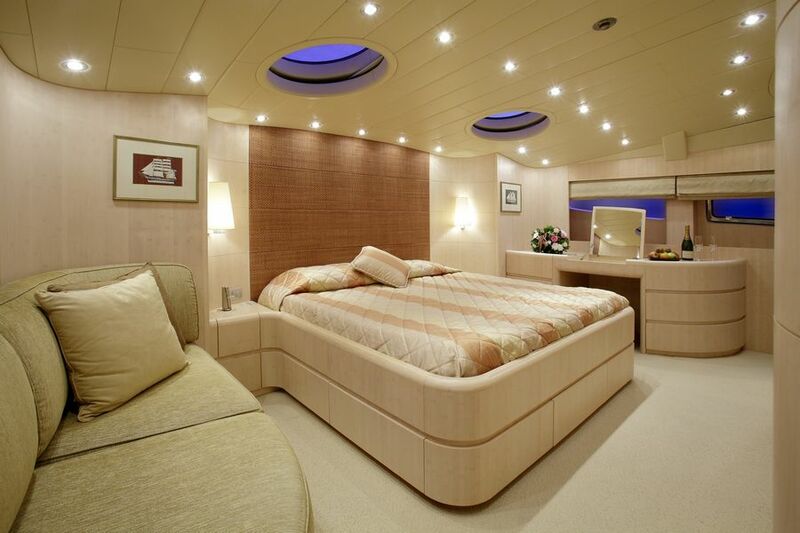 She has panoramic windows allowing for plenty of natural light on the main deck. 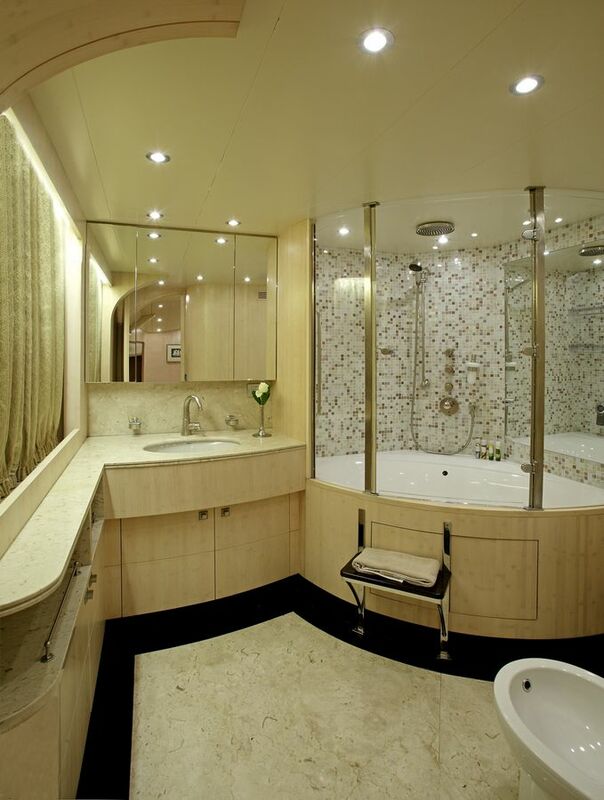 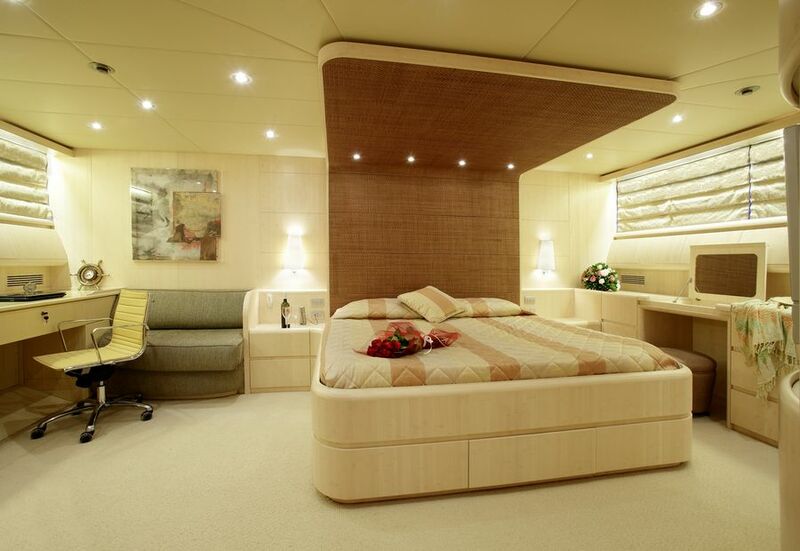 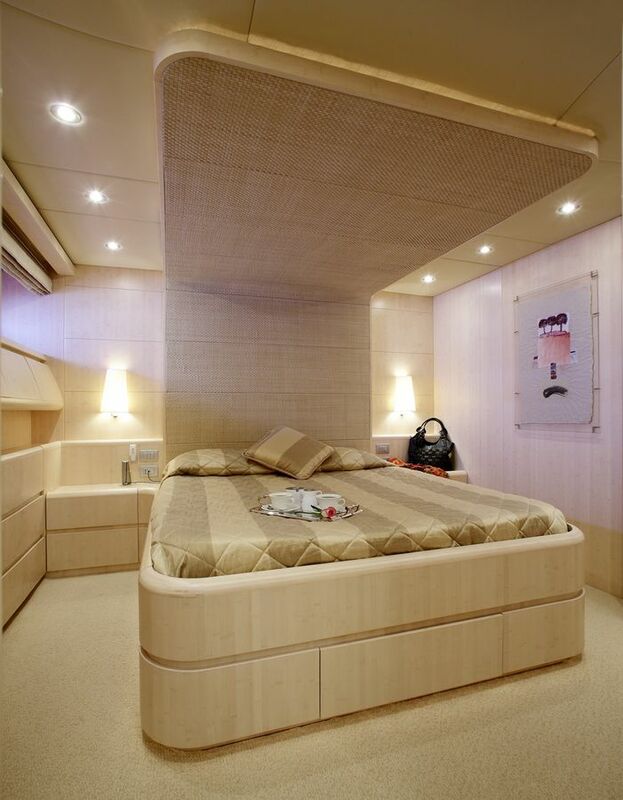 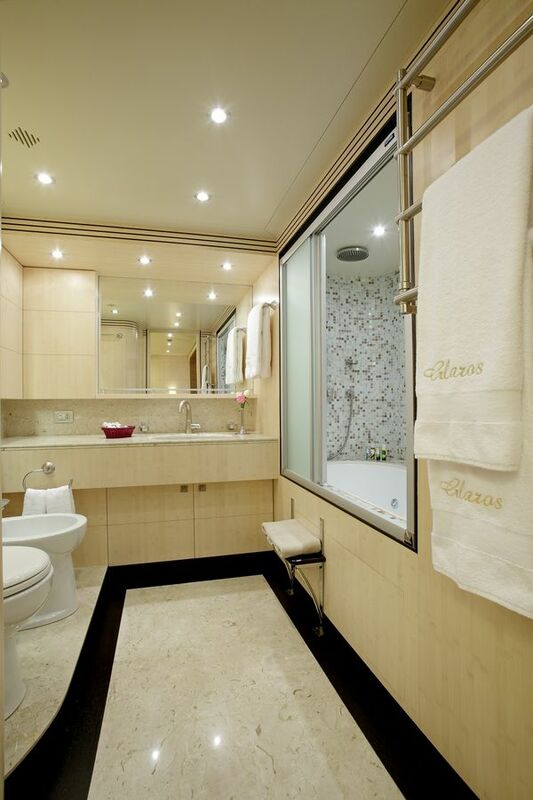 Accommodation is on one VIP cabin forward and full beam of the yacht on the main deck, along with a master cabin, 2 double cabins and 2 twin cabins on the lower deck. 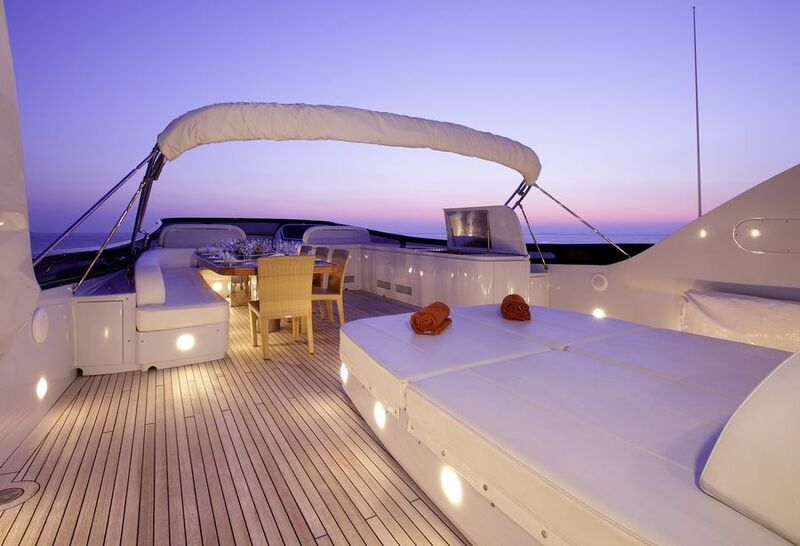 There is a vast amount of exterior space on deck. 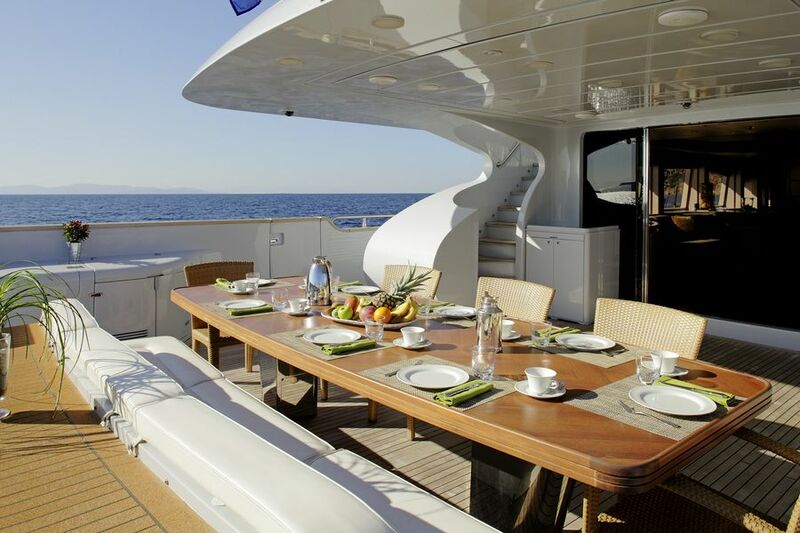 The aft deck which is adjacent to the salon, is partially shaded and has an alfresco dining option and plenty of comfortable seating. 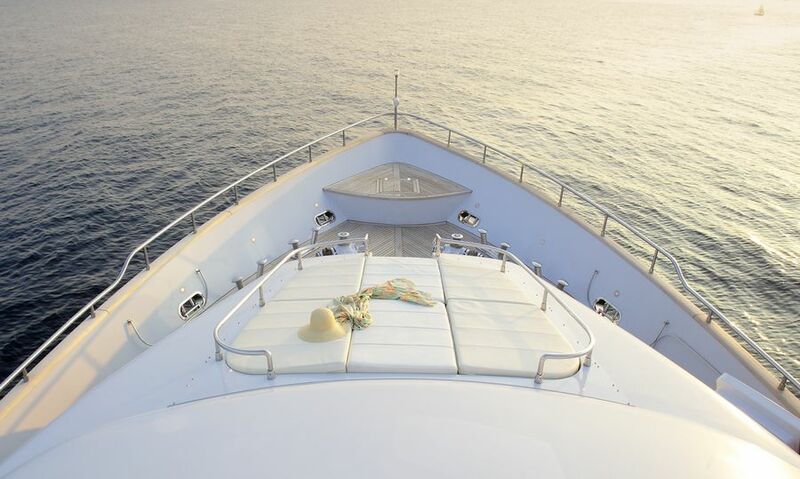 A swim platform makes any water activity effortless. 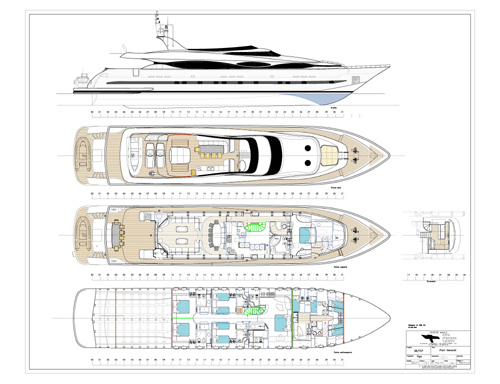 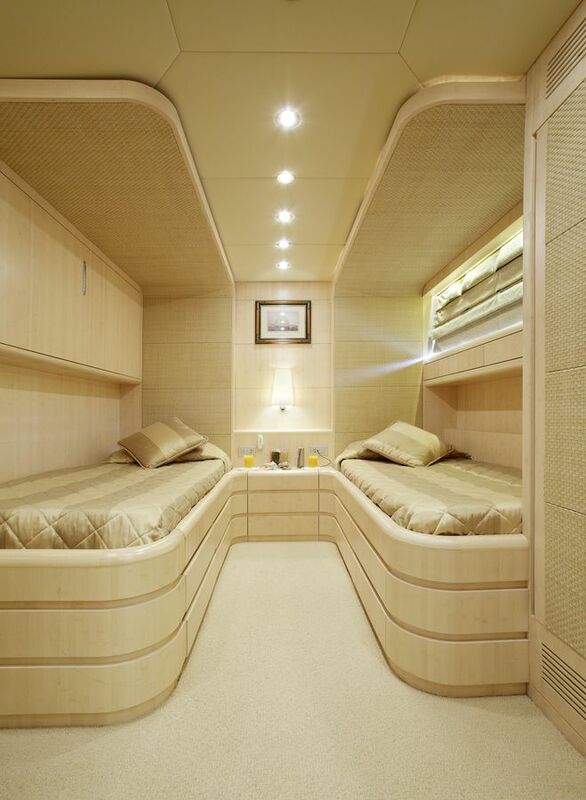 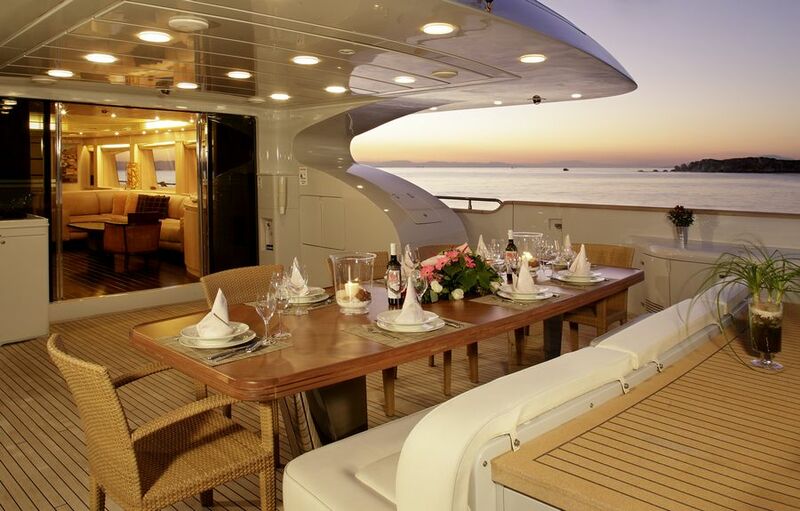 Side decks wrap around the yacht and lead to a capacious foredeck, complete with a raised sunpad and bow seating. 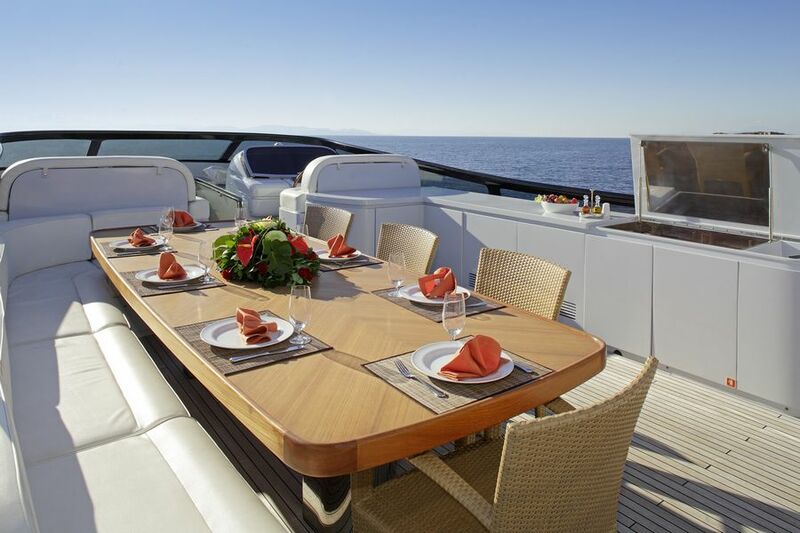 The yachts upper deck is well-appointed and has a further alfresco dining table, large sunpad, BBQ service station and partial shade upon request. 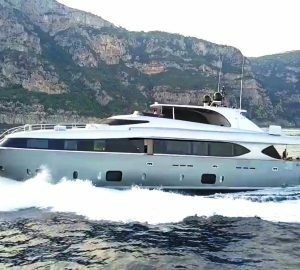 Motor yacht GLAROS is powered by 2 x 3,750hp engines capable of cruising at 17 knots and reaching impressive top speeds of 27 knots.